A no-deal Brexit would be “catastrophic” for the movement of horses to and from Ireland, according to the country’s racing authority. Horse Racing Ireland (HRI) has been working hard to ensure all parties are fully aware of the importance of the matter. HRI director of communications Jonathan Mullin has spelled out his organisation’s grave concerns. “The movement of horses is the big issue,” he said. “The main problem from a horse-racing perspective in Ireland, indeed any movement of animals, is there are only two border inspection posts in Ireland -at Dublin Airport and Shannon Airport. “That’s why a no-deal Brexit is catastrophic in terms of horse movement in Ireland. Mullin is at pains to make sure those with power know how high the stakes may be. “Everyone knows about the headline stuff, the Grand National and Cheltenham, but we export 80 per cent of the thoroughbreds we export to Britain. It’s a huge market for us – and Britain relies heavily on that product to make up the numbers essentially for British racing. “It is a critical thing, and there is awareness at European Commission level and across the Cabinet table in Ireland. Mullin is hoping for a solution before the UK leaves the European Union on March 29. “There are plans to extend the number of border inspection posts – one in Dublin port and one eventually in Rosslare,” he said. “If we crashed out on March 29, then the racing world would be in trouble in terms of movement. “We are working very closely with the BHA and France Galop and at European level with all the different authorities. 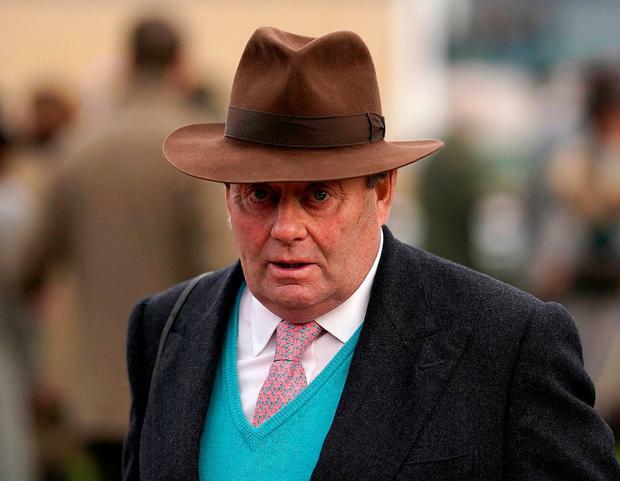 Top jumps trainer Nicky Henderson echoes concerns about the movement of horses, and is equally troubled about the effect on stable-staff numbers in the UK. He told Racing TV: “It’s a worrying situation. I’m no politician, but from racing’s stand there are two major issues as I see it. “One is the borders – moving horses from A to B between Ireland, England and France. We do that on a regular basis, and if they’re going to sit on the dock sides for hours waiting for paperwork that is going to be an enormous inconvenience. “Secondly is the issue of stable staffing, and we all rely quite heavily on people from overseas. Whether that includes Ireland, I don’t know, but Eastern Europeans as well.